Ridgeline has extensive spill experience with upstream oil and gas producers, pipeline/midstream, utility companies, transportation and regulators. 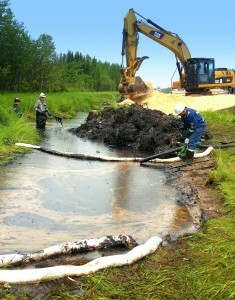 Our spill teams are supported by technical experts in Regulatory/Legislative experience, Permitting, Wildlife, Biology/Aquatics, Hydrogeology, Chemistry and Waste Management. We also have a dedicated data management team and supported partners with PhD level environmental forensic expertise on call 24/7 to interpret and table analytical in real time for immediate client engagement and updates. We have 8 strategically located offices throughout Alberta and Saskatchewan that allow the Ridgeline emergency responders to mobilize quickly and efficiently from all of our geographical locations 24/7 – ensuring that initial containment and recovery is completed within an appropriate timeframe. We have dedicated Spill Commander personnel by office to allow us to mobilize to site as quickly as possible in order to best serve our clients emergency response call outs. 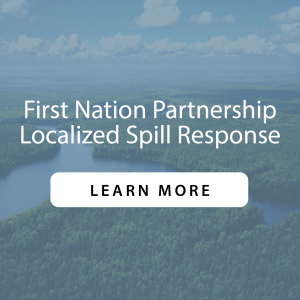 Our dynamic team of emergency responders and Environmental professionals are specifically trained with the expertise required to manage all types of spills/releases. Proactive engagement and cooperation with applicable regulatory bodies ensures we are working in the best interest of our clients. Ridgeline Response is available within a 4-hour radius of each location.